There are a lot of potted plants on the wall that is outside of the construction site. 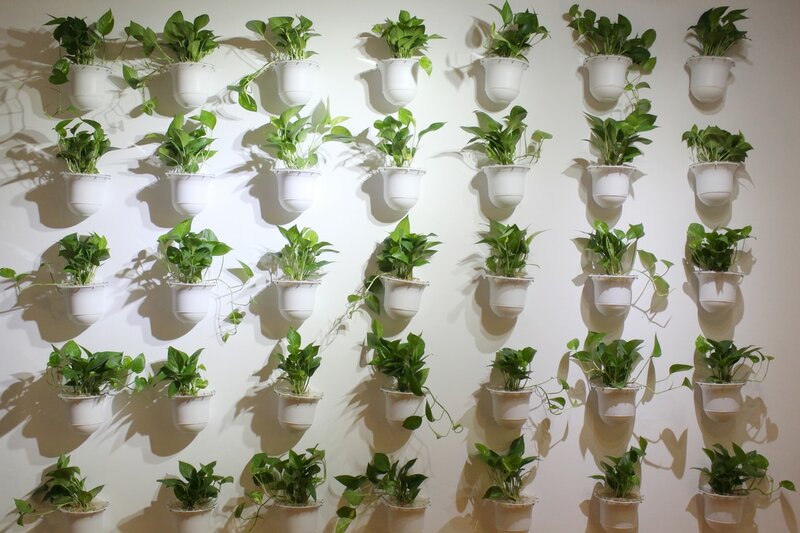 The potted plants are used to environmental afforestation, plants are practical for beauty. Seeing is one of the way to face plants. I try to rotate the potted plants on the wall and call human to pay attention the little thing in the everyday. Watching is the remaining value of plants. It is the second hand natural view. I try to remind the little sound of plants.